For the ultimate gift pack everyone will love, you need this 6-pack of infant socks. Within an adorable package, these six pairs of socks are colorful and cozy. 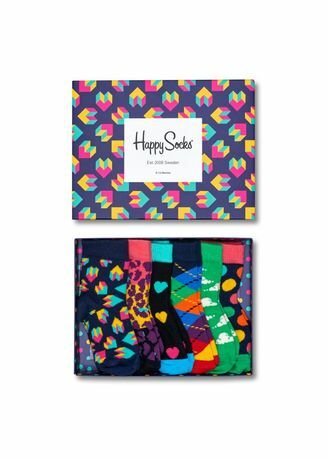 Patterns of hearts, leopard, clouds, dots and more are within each set, so the little one can be dressed in a pair of Happy Socks no matter the occasion. Infant box sets are available in size 0-12 months.